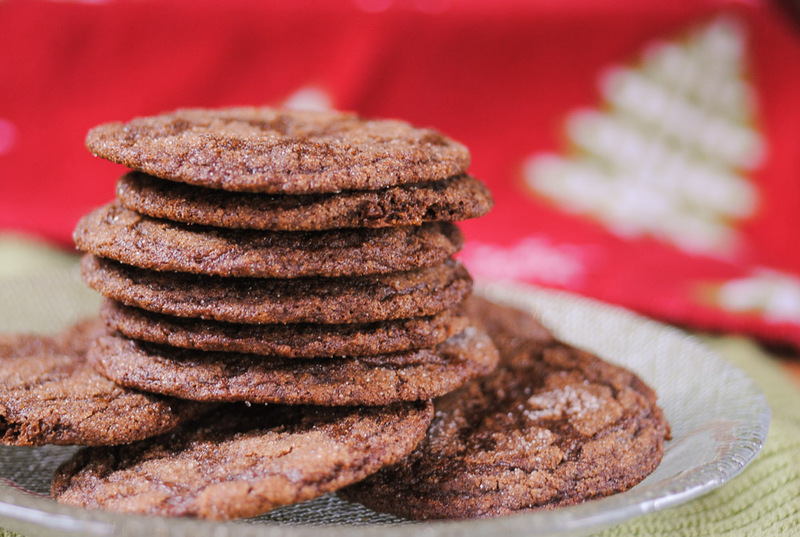 Chewy molasses cookies – lots of flavor, no gluten! 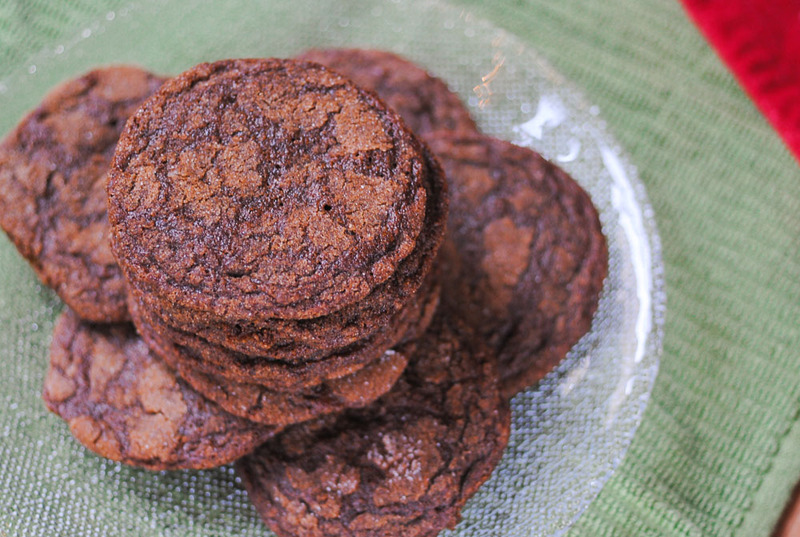 I love spicy molasses cookies. They’re like gingersnaps’ saucier big sister. I made these for The Great Food Blogger Cookie Swap benefiting Cookies for Kids’ Cancer, and an online auction Bake Sale for the Philippines, since they travel well and lack the gluten and dairy my swap matches can’t digest. They’re rather easy to make and have that crackly, sugary top that makes me think of the holidays, for some reason! They’re also 100% kid tested and approved. I can say that because the tiny little baby friend I had in my apartment the night I was making them gobbled one up. So 1 outta 1! Woohoo! She then got naked and started playing with the silver shakers at my living room bar, so I don’t know if we can trust a 1-year old with a drinking problem, but whatever. Anyway, they’re delicious on their own, and even better when crumbled into another cookie, sandwiched around frosting or dunked in ice cream. A classic, chewy in the center and crispy at the edges. Yum. In a medium bowl, whisk together all dry ingredients. In a large bowl, whisk the Earth Balance, 1 cup sugar and egg until smooth, the sugar melting in as much as possible. Fold in the flour mixture. Refrigerate dough for a at least one hour. When ready to bake, preheat oven to 375 degrees. Line three baking sheets with parchment or Silpat. Roll about 1 Tbsp of dough into a ball and roll completely in white sugar. Repeat to make 12 cookies a tray. Bake for 10-12 minutes, until the tops crack and the cookies are set flat. Cool for about 10 minutes before removing to cooling rack. Repeat with remaining dough. These cookies look so yummy and similar to a cookie I used to make years ago. I made them this morning and 2 tsp of baking soda doesn’t work for me. I can really taste the baking soda so can’t bring them to gathering. I looked up my old non gluten free recipe and it only calls for 1/2 tsp of baking soda but the old recipe has less flour. Trying to figure out how low I can safely go with baking soda for next time. I guess I’ll try 1/2 tsp. I prefer them flat rather than cake like so might be fine. If you have any recommendations please let me know. Thanks! Hmm, I’m not quite sure why yours tasted particularly baking-soda-y, as I’ve never had that problem with this cookie after many batches. Is your soda fresh? It easily takes on the flavors of what’s around it. The purpose of so much soda is so that they rise and then crack, releasing steam and then getting chewy/crunchy on the edges – these are definitely NOT cake-like cookies. Buckwheat flour and the molasses / ginger I use all have very pronounced flavors, so I really haven’t detected any difference. I’d suggest checking your soda and maybe dropping by 1/2 or 1 tsp, but I fear with only 1/2 they’re not gonna crackle enough to flatten and get chewy. Let me know what you decide to do, please!! !